Chalk filled the air as DJ Suspence spun his tracks and BYU-Idaho students partied to their heart’s content. Spencer Seegmiller, a junior studying business management, said he goes by the name, ‘DJ Suspence’ because it’s similar to his real name, and a lot of people don’t usually put two and two together to understand how he came up with the name. DJ Suspence is one of the DJs here in Rexburg. He is known for the parties he DJs, one being the La Jolla Chalk Fight a couple weeks ago. “Coming up with ideas for parties is actually a lot of work,” Seegmiller said. Seegmiller said creating ideas for a party has a lot of risk involved. “If you do a wrong party or a party that doesn’t suit the needs of your crowds you end up losing a lot of money,” Seegmiller said. Seegmiller said there are a lot of late nights put in coming up with ideas. Seegmiller also said he often gets invited to play at different venues like weddings and apartment complex parties. However, most DJs have to find their own venues. Luckily for Seegmiller, finding a venue is not as hard. “I like to throw about two, maybe three, parties a semester so there is more of a demand to go to parties,” Seegmiller said. DJ Suspence and other DJs in Rexburg work together so they do not have to compete for a crowd at the same parties on the same night. For some, being a DJ is a hobby. 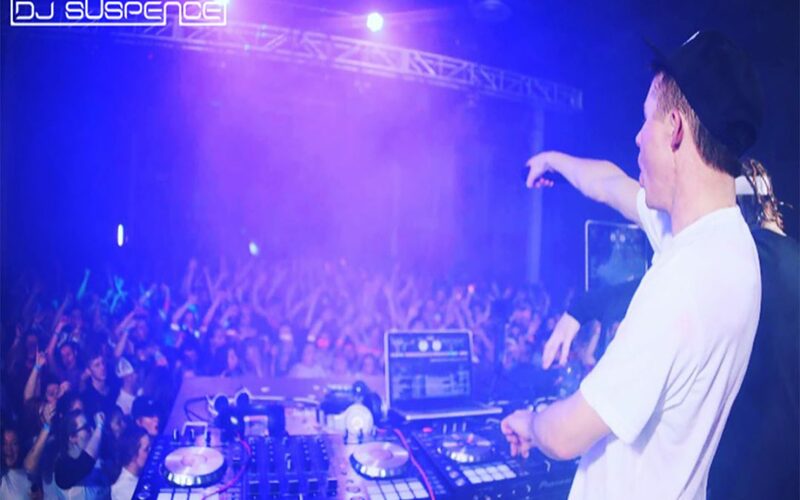 For DJ Suspence and other DJs in Rexburg, being a DJ is also their job. “If we do a large scale event at The Zone or a big block party, that normally costs about at least $5,000-$10,000,” Seegmiller said. Seegmiller said he and other DJs will usually make the amount to cover all expenses, but he feels as though they never get paid back enough for the effort and time they put in. Seegmiller said he chose to become a DJ because he was not a fan of the music played at church youth dances, or iPod DJs. “I find that knowing how to interact with the audience and knowing how to make people laugh and smile is important,” Seegmiller said. DJ Suspence said he is thankful for all those who have gone out to his parties and supported him, and he knows he would not be where he is without the support.